The Vice-President of Congress Rahul Gandhi filed nomination for the post of party chief on 4th December. With his nomination for the Post of President, Rahul Gandhi is all set to fill in his mother shoes. The President of Congress party Sonia Gandhi has been leading the party for nearly two decades. 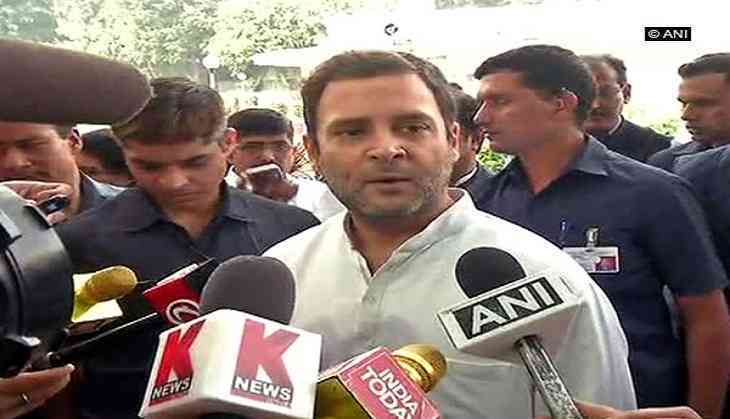 If the reports are to be believed, then Rahul Gandhi's has filed nomination for the post of party chief because of opposition claims that he can not hold together his party like his mother because he does not have that ability in him. Recently, Sitaram Yechury leader of Communist Party of India (Marxist) has said that Rahul cannot replace his mother because Rahul does not have that "the glue" in him that held the opposition together. Makers of Mahesh Babu, Allu Arjun films are upset with Rajinikanth, Akshay Kumar film 2.0's new release date, but why?